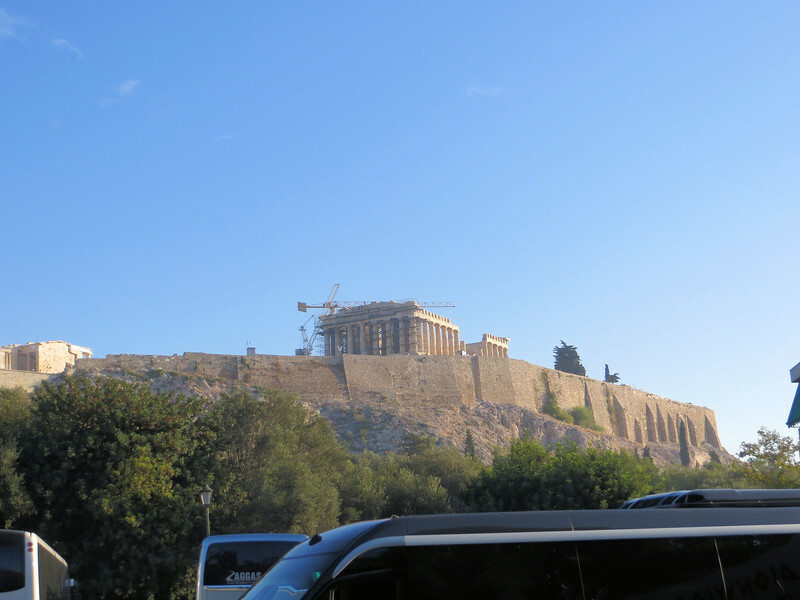 The view of the Acropolis from the parking lot. If you want to go "up the hill" (as our guide put it), there is only one way--you have to walk. Luckily the path is gradual and the climb is not too difficult.